I guess it's a matter of taste I perfer those "Daylight" colors over the "warm" or "soft" lights. In my house I use daylight curly bulbs, I don't like the warm or soft white lighting. New York state just signed a law requiring efficient, low-glare lighting on public buildings, streets, walkways and public spaces. "By directing light into a focused beam, rather than allowing it to disperse, fully shielded lighting fixtures reduce light trespass and dangerous glare. With less illumination needed to appropriately light a given area, fully shielded lighting fixtures are also more energy efficient." I'll partly admit I was playing a bit of the advocate with LPS lighting. I did find another nice picture displaying the power of modern fixture optics in modern light fixtures.In this case cobraheads. The lighting looks really well done. Very little to no glare and a slight non uniformity in the lighting look well thought out. The intensity also looks appropriate. Only the CCT seems a bit high. I should just go ahead and say it: Low Pressure Sodium (LPS) is obsolete. That type of light has its uses, such as near waterways, nature preserves, zoos or astronomical observatories, but nowadays that can be better accomplished with amber LEDs. They are marketed as "Turtle Friendly" lighting, and have a narrower color rendition than the orange/gold HPS streetlights most commonly found in Tulsa. The big rush to spend federal grant money updating to LED streetlighitng means that we are going to be stuck with a lot of early-model, blue-rich LEDS that cast a cold, uninviting light. Manufacturers sell the blue lights hand-over-fist to municipalities who dont know to ask for the warmer (but slightly dimmer) 3000K LEDs, whose color is indistinguishable from an incandescent bulb. I have to ask. Is it cost effective to light neighborhoods and residential collectors? If neighborhood and residential streets were guaged against an avenue or arterial for street lighting upgrades, what should receive the upgrade? Cost effective compared to what? Need a little more context. I can say that when a municipality installs a streetlight, it assumes more liability than if it hadnt. When that light burns out, or someone complains the lighting is "too dim" because it's overwhelmed by nearby glary commercial lighting, the city is on the loosing end if someone is hurt there. If there were no light there to begin with, the city can fall back on the fact that streetlights are not legally required in Tulsa. Lighting at intersections of residential-arterial does make practical sense. More sense than, say, mid-block residential streetlights, mainly because they are high conflict areas between cars and pedestrians. But that's policy, not ordinance. This is offered as an example (and not necessarily an endorsement). 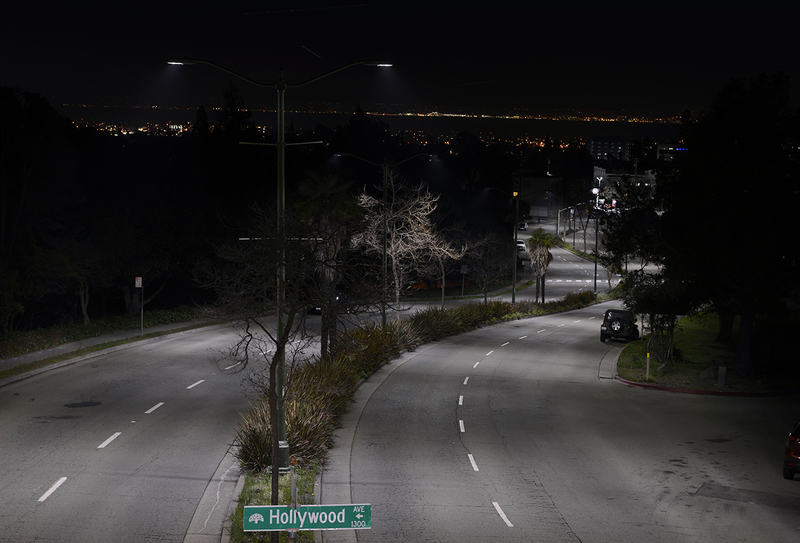 The incandescent-looking 3000 Kelvin (3K) versions put out only 6% fewer lumens than the blue-ish 4K and 5K versions, so there's no excuse to still be installing blue streetlights. There's a Blue-Light Backlash, where some cities were too quick to install older, bluish LED streetlights before investigating the availability of warmer-looking alternatives. After the city installed 650 new LED lights in May designed to save money, citizens complained about them, so Davis city leaders will spend $350,000 to replace the lights. A 43-year-old man died at a Tulsa hospital after being struck by a marked Tulsa Police patrol unit early Sunday, a police official announced. James Moore of Tulsa had left the Mad Murphy's Bar, 5939 S. Lewis Ave., and was walking south on Lewis Avenue around 1 a.m. Sunday, Cpl. A.D. McPherson said in a release. The officer, who was not identified, was driving south on Lewis Avenue while en route to a call, the release states. "The pedestrian was wearing dark colored clothing and crossed the roadway, at which time the officer's marked patrol unit struck the pedestrian (at 6000 S. Lewis Ave.)," McPherson said. An investigation into whether the officer was speeding at the time of the collision is ongoing. The release did not state whether the patrol cruiser had an active dash cam. Do TPD patrol cars have "inactive" dash cams? Highway street lights around Tulsa are now major target for copper thieves, according to city officials.